He has been called many things before. Singer, songwriter. Pioneer. A driving force behind important creative shifts in Jamaica. Perpetual student of music. Philosopher, mentor, brother. Miss B son. If there were a thousand ways to describe recording artist Protoje, now there are a thousand and one. Call him GRAMMY-nominated. The Recording Academy recently released its nominees for the 61st GRAMMY Awards with a pool of five for the “Best Reggae Album” category. Among them is A Matter Of Time, Protoje’s 4th studio album. The response has been a new wave of elation among a generation of music lovers inspired and influenced by the Reggae Revival movement for which the artist has been a leading figure. Protoje himself is delighted by this acknowledgement coming from the prestigious music academy. 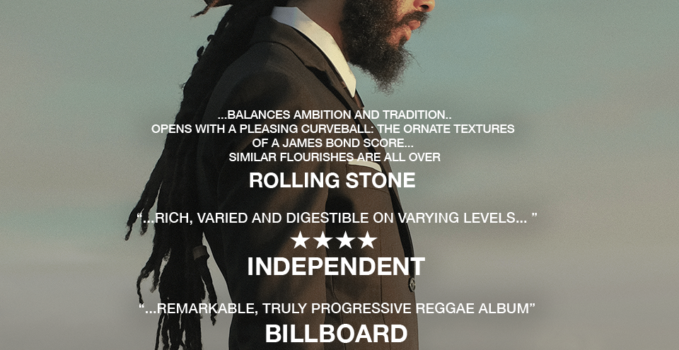 A Matter Of Time has been hailed glowingly by the likes of Billboard as a “remarkable, truly progressive reggae album” and The Independent as “rich, varied and digestible on several levels.” Paper Magazine called it “cinematic and as great a testimony as any to new-age reggae,” while Rolling Stone says the album “balances ambition and tradition.” Indeed, the groundbreaking sound throughout the 10-track album was concocted by producer extraordinaire Winta James of Overstand Entertainment, the very same who was behind “Who Knows,” one of the decade’s loudest reggae anthems. Listen to A Matter Of Time (Easy Star Records): smarturl.it/Protoje. 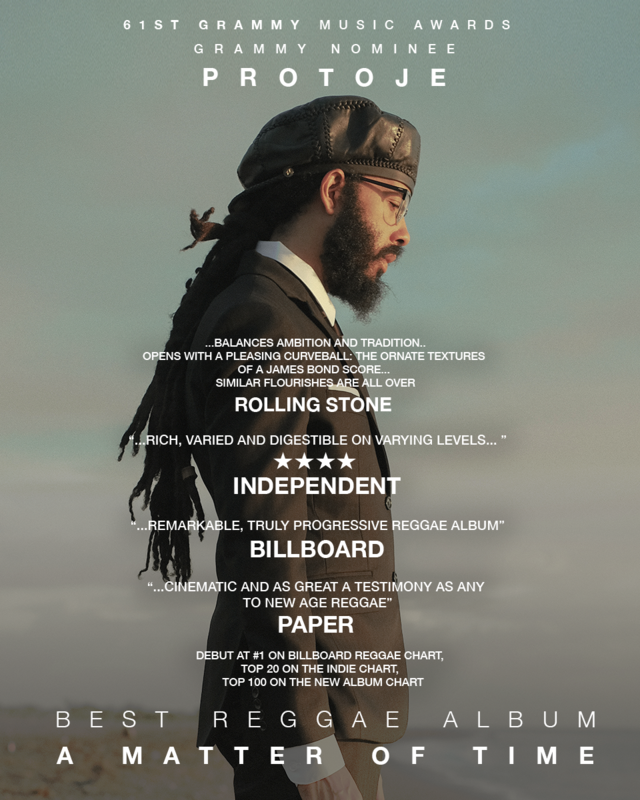 Protoje’s catalog is widely available on all digital platforms as well as CD’s and vinyl records. He continues to tour the world and command audiences with his band The Indiggnation. 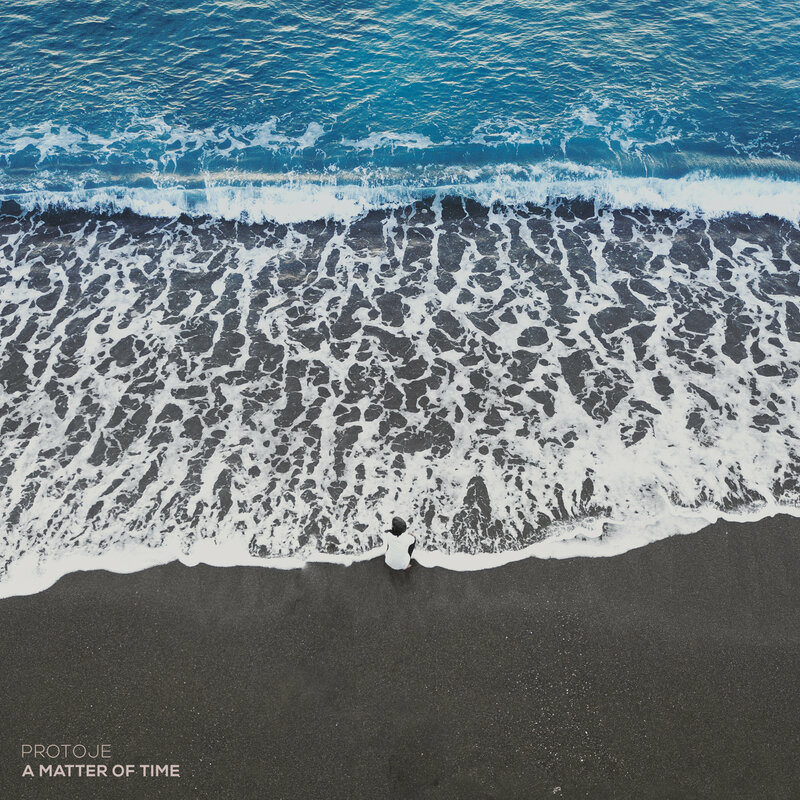 Protoje will be presenting the album in concert with his band at “A Matter Of Time Live” on February 23, 2019 in Kingston, Jamaica. The concert will be the first time Protoje performs all songs from the album in full, and will include appearances from specially invited guests.